Answer: You say that because Paul’s words are in the Bible, they were inspired by God; they are God’s words. That’s not really proper, is it? Did the Lord Jesus ever say, “All scripture is given by inspiration of God”? Did the Holy Spirit testify to this? No! Well then, can you really say that all the words in the Bible were inspired by God? Anyone familiar with the Bible knows that the words of God conveyed by the prophets are clearly marked. It is clear to see which words were inspired by God and are from God and which are from men. However, none of the words in the epistles of Paul are marked as having been inspired by God and from God. Therefore, how can you say all of Paul’s words are God’s words? Was Paul a prophet? 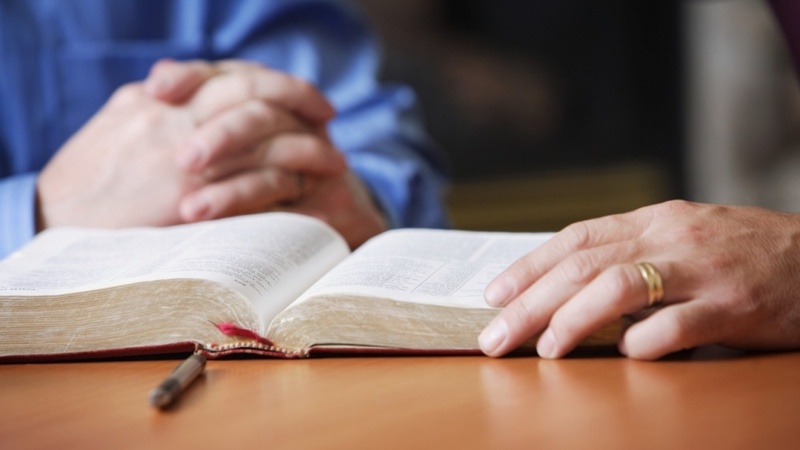 Does the Bible say that Paul was instructed by God to convey His words? We all know that Paul was just an apostle of the gospel. The letters that he wrote to each church were only an attempt to console and encourage his brothers and sisters in times of difficulty. However, these words only represent Paul’s personal experiences and knowledge. They are all the words of a human. How can we say that those words were inspired by God and came from God? There is one point that we must be clear about. Only God incarnate can express the words of God, because Christ’s substance is God Himself. Paul is just a man; he is not Christ. Therefore, regardless of whether Paul’s words are recorded in the Bible or not, they are just man’s words. This is an undeniable fact! God’s words are God’s words; man’s words are man’s words. Man’s words can never become God’s words. We cannot treat man’s words as God’s words just because they are in the Bible. If we understand that they are the words of man, but still want to treat them as God’s words, are we not distorting the facts and betraying the truth? Is this not resisting God and blaspheming against Him? Many believers in the religious world think that “Believing in the Lord is believing in the Bible; keeping the Bible is believing in the Lord.” Is this view in accordance with the Lord’s words? 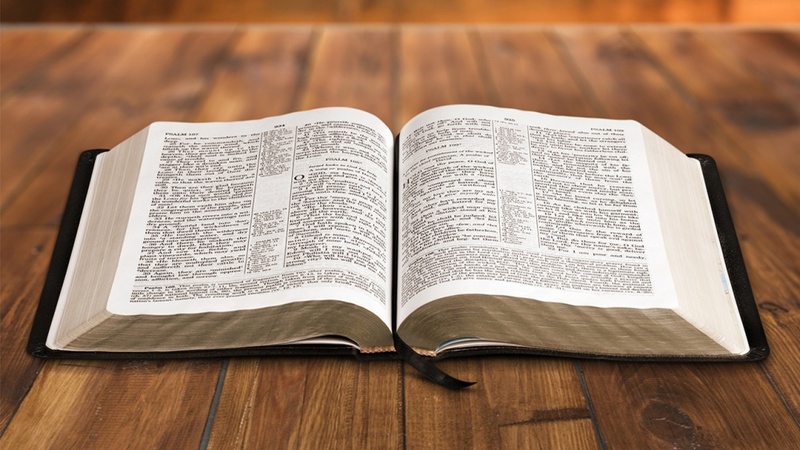 Did the Lord Jesus ever say, “Keeping the Bible is believing in the Lord?” Well according to this viewpoint, “To believe in God is to believe in the Bible. We must always do things according to the Bible. Keeping the Bible is believing in God.” The Jewish chief priests, scribes and Pharisees… their faith in God followed the Bible; they kept the Bible, what were the results? When the Lord Jesus appeared and did His work, they did not accept it or obey Him. Instead, they judged and convicted the Lord Jesus based on the fact that His words and work overstepped the law of the Old Testament. They convicted Him of blasphemy based on the fact that He expressed the words of God. They crucified Him on the cross. In light of this fact, do we still dare to say that believing in the Lord is believing in the Bible and keeping the Bible is believing in the Lord? When people put the Bible above all else, does that mean they fear the Lord and magnify the Lord? When people have blind faith in the Bible and keep the Bible, does that mean they obey the Lord and worship the Lord? Does it mean they follow God’s will? Some believers only believe in the Bible and keep the Bible; they cannot magnify the Lord or practice and experience His words, nor do they search for the truth, obey God’s work or follow His footsteps. These people even fanatically resist and condemn God’s work based on the literal words of the Bible. Are they not hypocritical Pharisees? Are they not antichrists who take God as their enemy? The Lord Jesus once rebuked the Pharisees, “Search the scriptures; for in them you think you have eternal life: and they are they which testify of me. And you will not come to me, that you might have life” (Jhn 5:39-40). The Lord Jesus exposed the Pharisees’ flawed method of faith very clearly. The Pharisees’ faith in God was only based on the Bible. They did everything according to the Bible. They put the Bible above everything else; they thought that keeping the Bible would give them eternal life. However, they did not accept the truth expressed by the Lord Jesus. They preferred keeping the Bible over following the Lord Jesus. They stubbornly clung to the Bible and tried to use literal interpretations of its text to attack the Lord Jesus. They denied and condemned the truths expressed by the Lord Jesus. In the end, they crucified Him on the cross. That is why they were cursed and punished. Therefore, we can see that if a believer only believes in and worships the Bible, but denies Christ incarnate and rejects the work and leadership of God, they will definitely not obtain God’s praise. Let’s read two passages of Almighty God’s words. Almighty God says, “From the time when there was the Bible, people’s belief in the Lord has been the belief in the Bible. 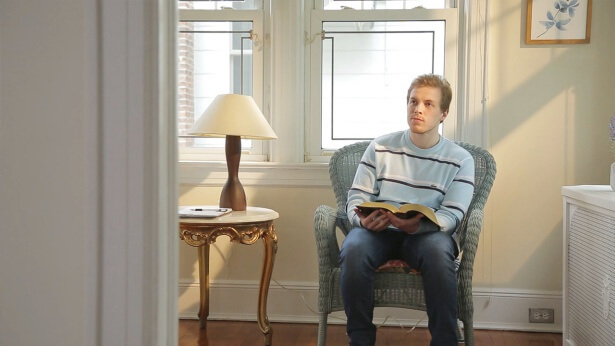 Instead of saying people believe in the Lord, it is better to say they believe in the Bible; rather than saying they have begun reading the Bible, it is better to say they have begun believing in the Bible; and rather than saying they have returned before the Lord, it would be better to say they have returned before the Bible. In this way, people worship the Bible as if it were God, as if it were their lifeblood and losing it would be the same as losing their life. People see the Bible as being as high as God, and there are even those who see it as higher than God. If people are without the work of the Holy Spirit, if they cannot feel God, they can carry on living—but as soon as they lose the Bible, or lose the famous chapters and sayings from the Bible, then it is as if they have lost their life” (“Concerning the Bible (1)” in The Word Appears in the Flesh). “They believe in My existence only within the scope of the Bible. For them, I am the same as the Bible; without the Bible there is no Me, and without Me there is no Bible. They pay no heed to My existence or actions, but instead devote extreme and special attention to each and every word of Scripture, and many of them even believe that I should not do anything I wish to do unless it is foretold by Scripture. They attach too much importance to Scripture. It can be said that they see words and expressions as too important, to the extent that they use verses from the Bible to measure every word I say, and to condemn Me. What they seek is not the way of compatibility with Me, or the way of compatibility with the truth, but the way of compatibility with the words of the Bible, and they believe that anything that does not conform to the Bible is, without exception, not My work. Are such people not the dutiful descendants of the Pharisees? The Jewish Pharisees used the law of Moses to condemn Jesus. They did not seek compatibility with the Jesus of that time, but diligently followed the law to the letter, to the extent that they ultimately nailed the innocent Jesus to the cross, having charged Him with not following the law of the Old Testament and not being the Messiah. What was their essence? Was it not that they didn’t seek the way of compatibility with the truth? They obsessed over each and every word of the Scripture, while paying no heed to My will and the steps and methods of My work. They were not people who sought the truth, but people who rigidly followed the words of Scripture; they were not people who believed in God, but people who believed in the Bible. Essentially, they were watchdogs of the Bible. In order to safeguard the interests of the Bible, and uphold the dignity of the Bible, and protect the reputation of the Bible, they went so far as to nail the merciful Jesus onto the cross. This they did merely for the sake of defending the Bible, and for the sake of maintaining the status of each and every word of the Bible in people’s hearts. So they preferred to forsake their future and the sin offering to condemn Jesus, who did not conform to the doctrine of Scripture, to death. Were they not lackeys to each and every word of Scripture?” (“You Should Seek the Way of Compatibility With Christ” in The Word Appears in the Flesh). Almighty God’s words expose the greatest deviations and errors in the religious communities’ faith in God to us. Compared to our own past experiences in the faith, it looks like we have believed in the Lord for many years but never really practiced or experienced His words. We also never searched for the truth in the Lord’s words or obtained the enlightenment and illumination of the Holy Spirit. We definitely never focused on finding the Lord’s will within His words. The result is that we never followed the Lord’s way and never really knew the Lord. We just thought that if we could memorize some biblical passages, God would have a place in our hearts; we thought if we could explain a few sentences from the Bible, it would mean that we knew God. We even falsely thought that as long as we could explain the Bible and memorize a lot of text, we would be most in accordance with God’s will. All believers put the Bible above everything else. In their hearts, the Bible has already replaced the Lord. Everyone thinks that exalting and keeping the Bible is exalting and bearing witness to the Lord. In reality, these actions completely stray from the Lord’s will and way. This is especially true during the key period of the Lord’s appearance and work in the last days. Many believers still cling to the Bible and wait until they see the Lord descend with the clouds with their own eyes. However, they do not search for the Holy Spirit’s work and utterance. Even though they’ve heard the witness of the Church of Almighty God that the Lord has returned and He is Almighty God and is expressing truth and doing His work of judgment in the last days, they do not search for God’s appearance and work. They even follow religious pastors and elders in denying, judging and condemning Almighty God. They have become those who believe in God and yet resist God. Eventually, they will be forsaken by God, thrown into the great disaster and punished. This is what happens when people blindly believe in and worship the Bible, confine God within the limits of the Bible, and unconsciously walk the path of resistance against God. The Pharisees were cursed by God because they clung to the Bible and resisted the Lord Jesus. What lessons can we learn from their failure? It is absolutely wrong for believers to keep the words of the Bible. We must practice and experience the Lord’s words. We must search for the truth in the Lord’s words and obtain the work of the Holy Spirit. This is especially true when the Lord returns. When we hear someone bear witness to the Lord’s arrival, we must search for the present work and words of God. This way, we will be able to follow the footprints of God’s work; we will be raptured before God’s throne, enjoy the supply of the water of life, obtain the truth and life, receive salvation and enter the kingdom of heaven. In reality, before God spoke or started His new work, our belief in the Lord according to the Bible was not wrong. This is because the Bible is a witness to God; it is the true collection of God’s words and work during the Age of Law and the Age of Grace. We who read the Bible become aware of God’s existence. We learn about God’s almightiness and wisdom, how He created the heavens and earth and all other things, and how He rules over everything. We can see what God said and did during the previous two stages of His work, His wishes and demands on mankind, His many actions revealed to humanity, etc. Correct! In particular, the Bible contains the Lord Jesus’ work of redemption during the Age of Grace, the abundant grace and truth He gave to humanity, allowing us to see God’s true love and mercy toward humanity. If we did not have the writings of the Bible, it would be hard for us to understand God’s past work. Therefore, the Bible has become a necessary, classic book for us believers. The Bible is so valuable for us to believe in God, acknowledge God and walk the right path of life. However, regardless of how valuable the Bible is or how much it has given humanity, the Bible does not represent God or the work of the Holy Spirit, much less does it stand in for God in the work of salvation. Isn’t this true? God is the Lord of creation, the source of all life. God gives humanity a steady stream of life that is inexhaustible. However, the Bible is just a historical book about God’s past work. How can it be on par with God? The Bible is the Bible. God is God. The Bible and God are two different. Believing in the Bible does not mean you believe in God! Therefore, our faith in God can’t just be based on the Bible. The most important thing is to base our faith on what God actually says and what the Holy Spirit does. This is the most important principle when it comes to faith in God! If we don’t even understand this basic fact about faith in God, aren’t we too foolish and ignorant? This is just as it was in the Age of Grace, when the Lord Jesus appeared and did His work. Could man obtain the work of the Holy Spirit if they just read the Old Testament, but did not accept the words and work of the Lord Jesus? Could they obtain the Lord Jesus’ salvation and grace? Obviously not! Then, when the Lord Jesus has returned in the last days as Almighty God, and is expressing truth and doing His work of judgment, can we who only keep the Bible and the Lord Jesus’ work obtain the work of the Holy Spirit and God’s salvation of the last days? Therefore, when Almighty God does His new work in the last days, we must seek the truth in His words, listen to His voice, follow the footsteps of His work, and experience the judgment and chastisement of His words. Only by experiencing God’s work like this can we obtain the truth, know God and achieve purification and salvation. This kind of faith is the only way to obtain God’s praise. Previous：Question 3: We’ve believed in the Lord for so many years, and we’ve maintained His name. We often read the Bible, pray and confess our sins to the Lord; we are humble, patient, loving toward others. We often do charity, donate, and sacrifice everything else to work for the Lord and spread the gospel to witness Him. Are we not practicing the Lord's words and following His way? How can you say we never had any reality of faith in the Lord or are an unbeliever? In the Bible, Paul said, “I have fought a good fight, I have finished my course, I have kept the faith: From now on there is laid up for me a crown of righteousness …” (2Ti 4:7-8). Therefore, I think that our faith in the Lord will obtain His praise. When the Lord arrives, He will definitely rapture us into the kingdom of heaven. Next：Question 2: Paul made it very clear in (2Ti 3:16) “the entire Bible is inspired by God”, so that all words in the Bible are God's words, and that the Bible represents God, We are going by Paul's words. How can this be wrong? Almighty God says. “In Jesus’ day, He led the Jews and all those who followed Him according to the work of the Holy Spirit in Him. He did not look to the Bible for evidence, but spoke as His work dictated. He did not concern Himself with what the Bible said, did not lead His followers down a path found in the Bible. From the very beginning, He preached the way of repentance, and the word ‘repentance’ was not mentioned at all in all the prophecies in the Old Testament."